We investigated inter-annual variability in the breeding performance of six tropical seabirds with different life histories. 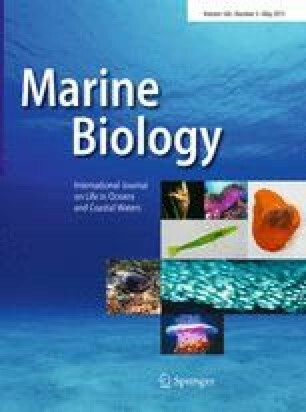 We further examined the extent to which presumed differences among years in food availability to seabirds were related to large-scale oceanic processes (El Niño Southern Oscillation and Indian Ocean Dipole) or local features around the colony (Sea Surface Temperature—SST, chlorophyll-a concentration, wind patterns, association with underwater predators). Two food shortages were recorded: (1) a short-term event operating at a local-scale, lacking any relationship with any measured oceanographic parameters and affecting only a few seabird species; (2) a generalized and protracted event, strikingly characterized by low SST, possibly induced by a La Niña and/or negative IOD event, and with detrimental impacts in the whole seabird community. Overall, species with inflexible feeding habits and fast chick growth rates were more affected by food shortage events than those with more plastic life-history traits. We acknowledge the Island Conservation Society (ICS) for permission to work on Aride island. B. Sampson, E. Sampson and R. Tiatousse provided valuable help during the fieldwork. M. Le Corre helped with work planning. The comments of two anonymous referees improved an earlier version of the manuscript. TC, IC and DM beneficiated of post-doctoral grants from Fundação para a Ciência e Tecnologia (SFRH/BPD/46967/2008, SFRH/BPD/76514/2011 and SFRH/BPD/66672/2009, respectively). This research was conducted with permission of the Seychelles Bureau of Standards, Republic of Seychelles.